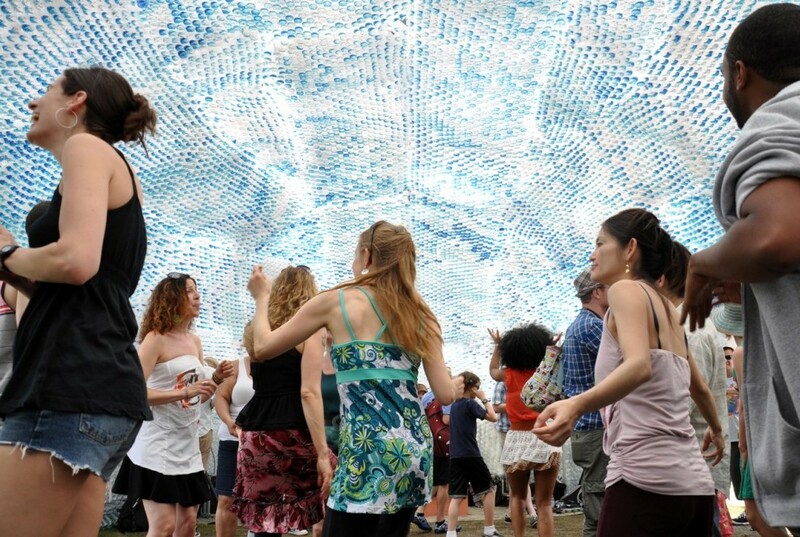 Made from 53,780 recycled bottles – the amount, thrown away in NYC in 1 hour – it is a space where visitors can enter into and contemplate the light and color filtering through the “cloud’ from the inside, out. A series of “pillows” made from one gallon jugs form the exterior, while 16 and 24 ounce bottles line the interior. Sand, water, and a curved aluminum frame provide structural integrity and create a small seating/dreaming area for 50 people at the base. 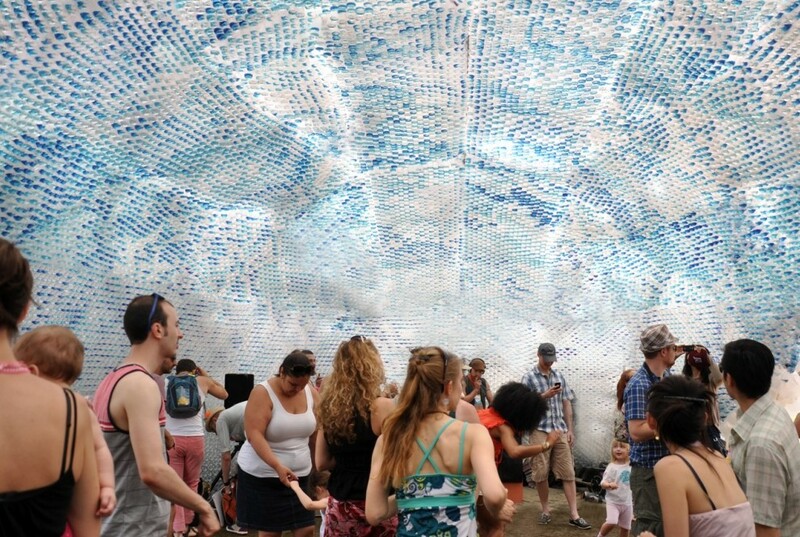 We collected used bottles from organizations, businesses, schools, and individuals throughout New York City and beyond, then repurposed the bottles to construct the pavilion. 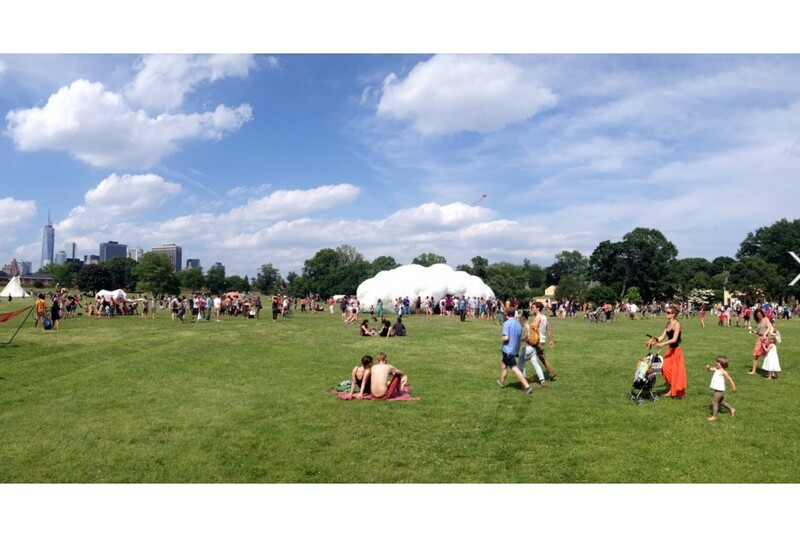 More than 200 volunteers from the arts, architectural, and community at large helped us build and assemble the pavilion. 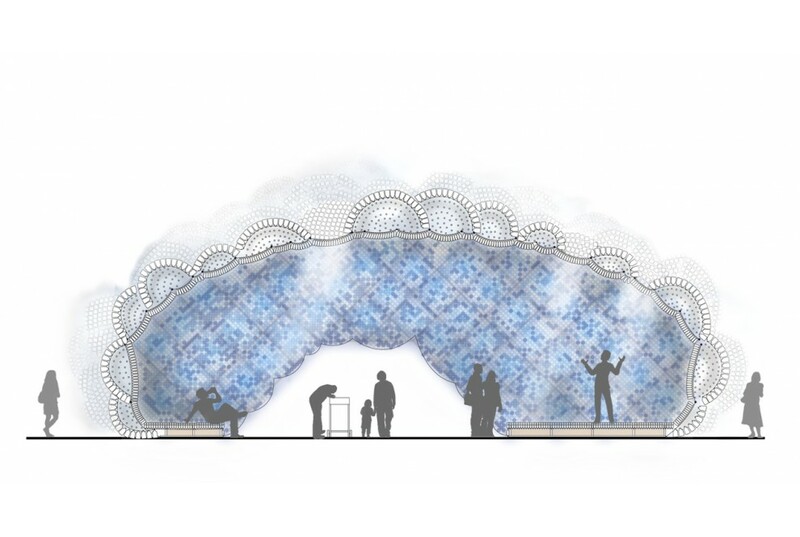 The pavilion was funded in part through a successful crowdfunding campaign through Kickstarter and chosen as Kickstarter’s Project of the Day on Feb 14, 2013. What do you see as the light shifts through the bottles, and the wind gently blows over the form? What will you dream about, with your head (and body) in the cloud? The City of Dreams?